﻿﻿Moving in or out of Grayson County can require more than just a trailer or truck. Sherman, Denison, and Van Alstyne residents know that a dedicated and reliable moving company may be required. 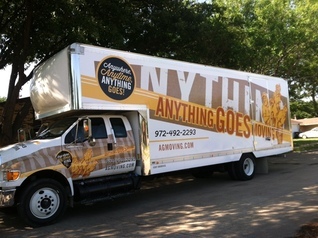 Grayson County relies on Anything Goes Moving for all their moving and packing needs. No matter if you are moving to or from a home, apartment, or a lake house, AGMoving has you covered. With our expert service, we can transport your belongings with the safety and security you would expect from a Moving Company. You don't have to take our word for it; our reviews speak for themselves. We hire only the most careful and detail oriented employees to handle your precious items. Grayson County consists of in town and county living - and we work well in both environments. Tanglewood and Hagerman residents, we can help you pack and/or unpack as well as move to your new location. If you're planning to move from Grayson County, AGMoving is the company to call... we travel. Don't assume you can move all your belongs by yourself - call or email for a FREE Estimate - We would be happy to provide you your Free Grayson County Moving Quote, no hassle, no obligation. We also provide Packing and Unpacking services for Grayson County residents and commercial properties as well. Businesses in Grayson County have called upon Anything Goes Moving to transfer office buildings and well as to transfer office suites. There is no job too big or too small for AG Moving in Grayson County. For a free Moving quote in Grayson County, give Don a call today at 214-232-7478. It's no easy job to pack and unpack your entire life in a small amount of time. This is why we happily provide packing and unpacking services for all Grayson County residents and businesses. 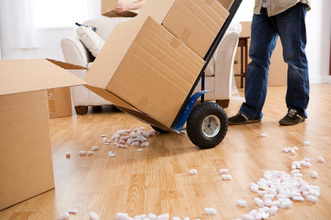 Our sharp and attentive packing and moving staff is sure to treat your belongings carefully and delicately. Sherman and Denison businesses owners have called upon AG Moving for relocation services as well as installation of new office furniture and equipment. We can also provide removal of old furniture and equipment from your office space. Whether you are moving to or from a Residential or Commercial property, out team of hard working movers are ready to help make your move as smooth as possible in Grayson County.